Chiropractor In Lexington: We've Moved Locations! 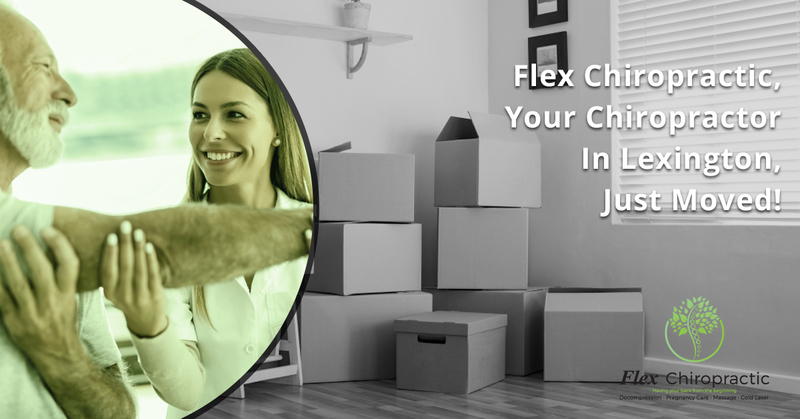 Flex Chiropractic, Your Chiropractor In Lexington, Just Moved! The only constant in life is change. Sometimes it’s bad change, like when you get injured and you need the help of a chiropractor in Lexington. Other times it’s good change, like when your chiropractor changes office locations! Dr. Bills and his staff have recently moved to a new office at 305 Columbia Avenue, Lexington, SC 29072. Now don’t worry, it’s only 2.5 miles from the old location. Even if you lived right next to us at our old location, you’d only have a six-minute drive to come see us in our new offices. Why the change? We’re glad you asked. Here’s how and why your local chiropractor in Lexington has upgraded. As our business has grown, we’ve been seeing more people who are looking for chiropractic treatments. More people through the door requires more space for all of them, and we’re happy to say that our new location is considerably more spacious than the previous one. Of course, with more room comes the possibility of new treatments. While many people come to us for traditional chiropractic treatments, there are many other ways to treat pain in the neck, back, and throughout the body. With more space comes the opportunity to offer the latest treatments that chiropractors are offering. Here’s another great reason for the relocation: we get to move into a newly renovated building. In order to renovate our old building, we would have had to shut down for a couple of months, and that certainly wasn’t a very viable option. We knew our patients were counting on us to stay open, and we certainly didn’t want to put them in the lurch while our old office was remodeled. Of course, we also didn’t want them to have to put up with the dust and the noise! While we’ve moved just 2.5 miles, it’s certainly in the right direction. Our chiropractic office is much closer to the heart of Lexington now, which means that we’re conveniently located for even more people. When you see our new office, we bet you’ll be amazed at how much nicer it is than the previous one. We’ve made the change for everyone — our current customers, future customers, and staff — to provide the best chiropractic office in Lexington. We want to offer the wonders of chiropractic medicine to as many people as we can, so we’ve done everything we can to make it as convenient as possible. If you’re in need of chiropractic care, we hope you’ll set up an appointment and come visit us. Flex offers a host of treatments, including spinal decompression therapy, ultrasound therapy, cold-laser therapy, kinesiology, electrical stimulation, and more. Contact us today to get started!